Many people around the world choose to move away from the hustle and bustle of inner city life and pick a somewhat more tranquil location to spend their retirement years. Of course where you choose depends on a variety of factors, many of which are down to your own individual tastes and circumstances, you may wish to retire in a tropical paradise, or maybe somewhere closer to home. You will always want to make an informed and well researched decision when thinking about something so important. If you are interested in a foreign retirement, contacting a specialist IFA now to discuss ways of managing your finances and realising your goal. Here we have brought together the latest reports, firstly a report by Global Post and secondly a report by the UN called the Human Development Index (HDI). This is a score out of 100 and takes into account adult literacy, life expectancy and income levels amongst others. Panama has great weather, stunning scenery, good healthcare and much more to attract the retiring expat. It also has a great scheme in place for pensioners, special discount cards that make life that little bit easier and more affordable for retirees. It comes with an 84.0 HDI and is a world away from the busy city life you may be wishing to escape. Living in Panama will be rewarding for you if you are willing to eschew the more luxurious creature comforts you may have been accustomed to back home. Another popular destination, Thailand has long been a favoured choice amongst western expats. With great weather and a strong culture western expats fast fall in love with sunny Thailand. It clocks in at 78.3 on the HDI scale and is also known for its fantastically cheap healthcare, so Thailand may be the place to go if you need some dentistry done! The popularity of Bulgaria as an expat retirement hot zone has recently grown, especially for Britons. Being a member of the EU it is easily accessible from the UK and is a very affordable and pleasant place to live. However, it is quite a homely place and may not be as sophisticated as some other EU countries. It has wonderful scenery with gorgeous beaches and majestic mountains and scores a solid 84.0 HDI. Mexico can also lay claim to being a great choice for expats, especially Americans due to its close proximity to the USA. With a good 86.5 HDI score, Mexico offers much in the way of western-style living yet at the same time offers the kind of rich and diverse culture that lures expats who are looking for a significant change. In Mexico it is possible to enjoy a very high standard of living for considerably less than many other places, and also enjoy a supremely high standard of healthcare. Uruguay is regarded by many as the jewel in South America’s crown, ranking a high 86.5 on the HDI it has a lively music scene, fantastic beaches and generally relaxed way of life. Again here you will enjoy a good life at low cost. Healthcare is deemed adequate however taxes can be quite high. South Africa, Cape Town in particular, is another beautiful destination popular with British expats. It has lovely weather and a wealth of ways to pass the time, gentle safaris and delicious wine-tasting amongst the options. Healthcare is good and cheap, health tourism has recently risen in the area due to this, especially plastic surgery. The downside is that South Africa is, and always has been, somewhat of a volatile place. Crime levels are often high and unfortunately some parts of South Africa can be deemed as no-go zones and still, after many years, there is a semblance of racial tension. These factors contribute to its comparatively low HDI of 68.3. Ecuador can prove to be an ideal location for those of you who have grown tired of hectic city life. Not only is it a beautiful country, but it is also very cheap; you can live in an amazing home for a fraction British prices. Its HDI rating is 80.6. One downside of this location is that it is probably only suited to retirees who are aiming to cast away the life they were used to in big cities; there are very few western style amenities in Ecuador. Malaysia enjoys playing host to foreign expats and actually has programs in place to make the expat transition a wholly smooth one. Retirees who venture to Malaysia on the “my second home” program can enjoy tax free pensions and also enjoy a ten year visa. 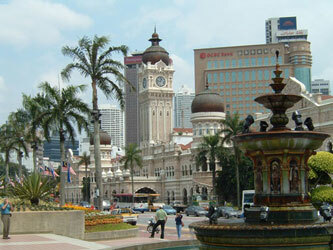 Malaysia itself is a stunning and well developed country hitting 82.9 on the HDI scale. Argentina is a richly cultural and diverse place to live however a stumbling block in the path of the UK expat is the lack of English speakers. To truly immerse oneself in Argentina it is highly recommended that you are able to speak Spanish to a fairly advanced degree. Argentina has much in the way of culture from sport to music to food and much, much more. With an HDI of 86.6, it is also a fairly cheap place and you should easily be able to lead a comfortable retirement. 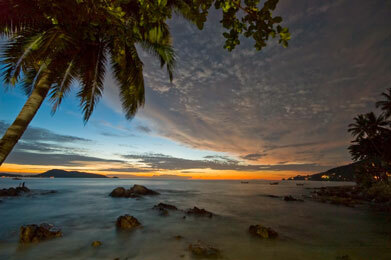 Those who are inclined to have a tropical retirement may find much to appreciate in Costa Rica. The country contains lush greenery, fantastic wildlife, golden beaches and even the odd (dormant) volcano. The standard of life is very high, amassing an HDI score of 85.4. Political stability is getting better and better with greater levels of transparency evident. However some people have voiced concerns regarding red-tape and corruption, something that may affect you if you wish to purchase a property. For more information on good expat destinations see our city guides.